Al Qaeda commander Mokhtar Belmokhtar. Image from Sahara Media. The US Department of Justice charged a dangerous al Qaeda leader in Africa who is responsible for attacking a natural gas facility at In Amenas, Algeria, and kidnapping and murdering scores of people. Mokhtar Belmokhtar, who is also known as Khalid Abu al Abbas and Khalid al Daas, was charged in absentia today with eight terrorism-related counts, including conspiracy to kidnapping and providing material support to al Qaeda. If convicted, the kidnapping charge carries a maximum sentence of death. The Justice Department cited Belmokhtar’s involvement in the January 2013 siege at the In Amenas facility in Algeria as well as the kidnapping of two United Nations diplomats in Niger in 2008. In the In Amenas attack, Belmokhtar’s al Mua’qi’oon Biddam, or the Those Who Sign in Blood Brigade, “took numerous workers inside the facility hostage by force, including Algerian nationals and citizens of the United States, the United Kingdom, Japan, Norway, the Philippines, Colombia, Romania, and other nations, while other workers fled or hid inside the facility,” the Justice Department stated in a press release announcing the charges. 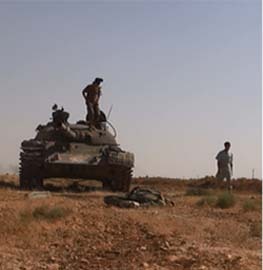 More than 40 fighters from Belmokhtar’s unit carried out the attack on the natural gas facility. Belmokhtar claimed the operation in the name of al Qaeda. The In Amenas siege ended after Algerian special forces assaulted the facility. Nearly 60 people, many of them foreigners, were killed during the fighting. 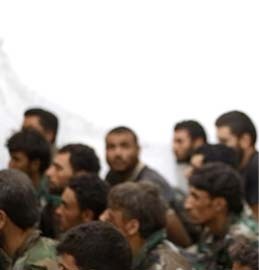 Belmokhtar’s jihadists executed some of the hostages. 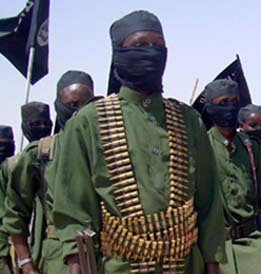 The In Amenas operation was launched immediately after French forces invaded Mali to eject al Qaeda in the Islamic Maghreb, the Movement for Oneness and Jihad in West Africa, or MUJAO, and Ansar Dine from the north of the country. The three al Qaeda-linked jihadist groups controlled northern Mali for 10 months and were threatening to take over the Malian capital when France intervened. Belmokhtar has served with al Qaeda and its predecessors in north and Saharan Africa for decades. He fought against the Soviets in Afghanistan in the 1980s, then joined with jihadists in Algeria fighting against the government with the al Qaeda-linked Armed Islamic Group and later the GSPC, or Salafist Group for Preaching and Combat. 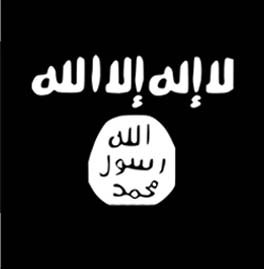 The GSPC officially merged with al Qaeda and formed al Qaeda in the Islamic Maghreb in 2006. 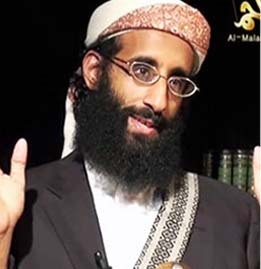 Last December, he split with al Qaeda in the Islamic Maghreb due to leadership issues with the group. AQIM accused him of failing to follow administrative guidelines, bypassing AQIM bureaucracy, and reporting directly to al Qaeda’s central command in the Afghan-Pakistan region. Although Belmokhtar split with AQIM in December 2012, he still conducts joint operations with the group as well as with MUJAO. 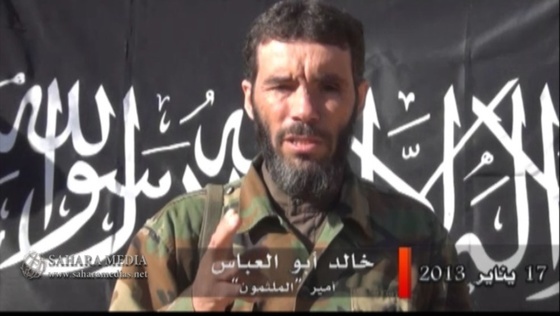 Belmokhtar reports directly to al Qaeda’s central leadership, according to his spokesman. Documents found by The Associated Press after French forces drove the al Qaeda alliance from their strongholds in northern Mali confirmed that Belmokhtar had a direct line to al Qaeda’s central leadership. In addition to the In Amenas assault, Belmokhtar’s Those Who Sign in Blood Brigade is responsible for two other major terrorist attacks in Niger this year. In late May, Belmokhtar’s force launched two suicide assaults, the first of their kind in Niger, targeting a military barracks in Agadez and a uranium mine in Arlit that supplies French reactors. The attacks were executed along with fighters from MUJAO, and Belmokhtar claimed that their purpose was to avenge the death of Abou Zeid, a senior al Qaeda in Islamic Maghreb commander who was killed by French and Chadian forces while fighting in Mali earlier this year. The US added Belmokhtar to its list of Specially Designated Global terrorists in 2003, and in June 2013 also added him to the Rewards for Justice list of most-wanted terrorists. A $5 million reward, which puts him in the top echelons of most-wanted terrorists, was offered for information leading to his arrest and conviction. In 2004, an Algerian court sentenced Belmokhtar to life in prison; in 2007 he was sentenced to death for terrorist activities. This willingness & repeated surfacing on the part of ‘Commanders’ to operate outside the ‘prescribed’ Chain Of Command brings an additional ‘Wild Card’ element to an already ‘raucous’ infrastructure. These guys sure are ‘fun’ to watch! And in further news, it’s been almost a year now and the DOJ is yet to charge those responsible for the deaths of four Americans in Benghazi. I’m also still waiting for the FBI to place Snowden on The Most Wanted List & Post A Reward for him. ‘Watching'(‘Following?’) the US Government is like watching The Marx Brothers & 3 Stooges negotiate who gets to ride The Pony 1st at The County Fair. Then once having done ‘that’ acting as if ‘that’ was ‘something’ never brought up in the 1st place. We need to focus a lot more on the management issues within AQ. I was really hoping the rift b/w Baghdadi and Julani in Syria would lead to major conflict b/w their groups, but for some reason that hasn’t been the case. During the Algerian civil war, the military was extremely effective at causing division among the Islamist groups. They would go so far as dressing up as “Afghans” and massacring entire villages and blaming it on the Islamists (this has been corroborated by numerous intelligence sources). 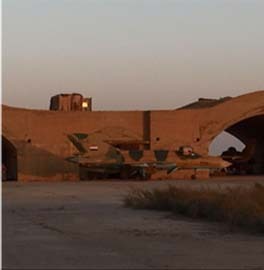 Pretty soon the GIA and AIS, the two main Islamist groups, were at each others throats. The AIS eventually dropped out of the conflict to avoid being associated with the massacres and the GIA splintered. The remnants of the GIA that didn’t accept the government’s amnesty offer became the GSPC which then morphed into AQIM. Some of you who keep pushing the line that Al Qaeda is on the rise in North Africa have short memories. AQIM is a shadow of what the GIA used to be. Clearly, you don’t remember the bombings they were conducting in France throughout the 90s, including the hijacking of Air France Flight 8969 which they planned on crashing into Paris. IMO what you’ve ‘identified’ in your ‘Post’ is just how much of this ‘phenomena’ has matured & evolved. What happened in Algeria, particularly on an organizational, ‘structural levels,’ & ‘relationships,’ is a ‘thing’ of the past. ‘AQ’ has obviously moved past many of the localized oriented metrics that governed ‘actions & behaviors’ by providing a platform of ‘Universal Appeal’ with the capacity to transcend past impediments & limitations.